What do early childhood professionals and paraprofessionals need to know and do in order to perform effectively? How do requisite knowledge and skills vary across contexts? What types of training and support do staff receive? How is the early childhood workforce recruited, monitored, and evaluated? 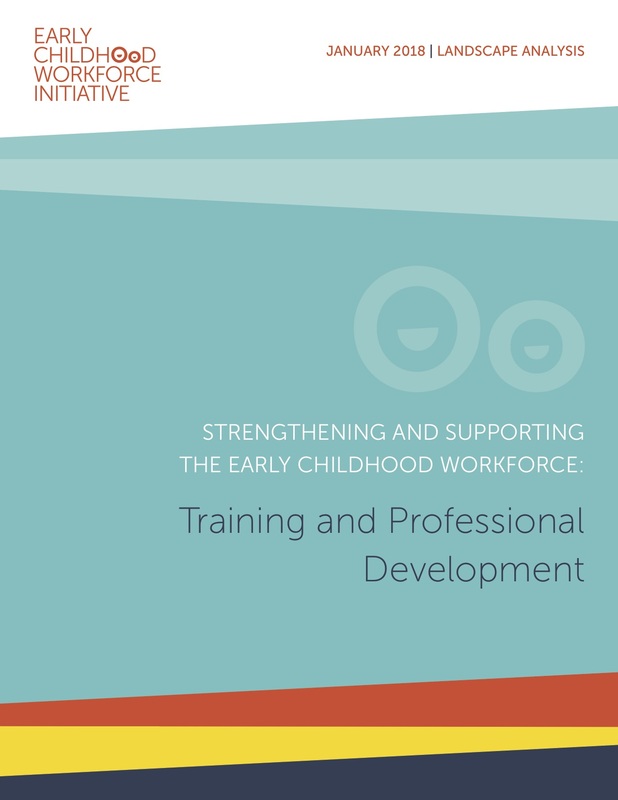 The second of these analyses, Supporting the Early Childhood Workforce: Training and Professional Development, takes a closer look at training and professional development opportunities for the early childhood workforce. Taking into account the diverse backgrounds and experiences of individuals delivering ECD services, training and professional development programs offer an opportunity to impart a core set of knowledge and skills to members of the early childhood workforce, which is particularly important as programs look to scale and reach a greater number of young children and families. In addition, there is evidence to suggest that supporting individuals with such opportunities can influence child development outcomes. This analysis, published in January of 2018, synthesizes evidence on the approaches to and challenges associated with training and professional development across the early childhood workforce. An extensive review of published and grey literature, and key informant interviews with ECD experts yielded 10 findings. Strong and growing evidence on the impact of early childhood development (ECD) services on children’s development has contributed to efforts to increase access to ECD programs, although there are persistent challenges related to ensuring their quality. Although evidence indicates that the workforce is one of the most important factors influencing quality of center-based services, relatively little is known about it. Through the Early Childhood Workforce Initiative (ECWI) – a multi-stakeholder effort to support and empower those who work directly with young children led by the International Step by Step Association (ISSA) and Results for Development (R4D) – R4D is carrying out a series of country studies to understand the experiences and challenges faced by those in particular roles in several countries. The country studies intend to focus on a range of roles including professionals and paraprofessionals, paid and unpaid workers, and frontline workers and managers, from the education, health and nutrition, and social and child protection sectors.